On the day that Michael Brown will be laid to rest, CNN airs exclusive interview with the mother’s of Michael Brown, Trayvon Martin and Sean Bell. The mothers speak to CNN’s Don Lemon about the loss of their son’s, how they are coping and words of support for Michael Brown’s mother. 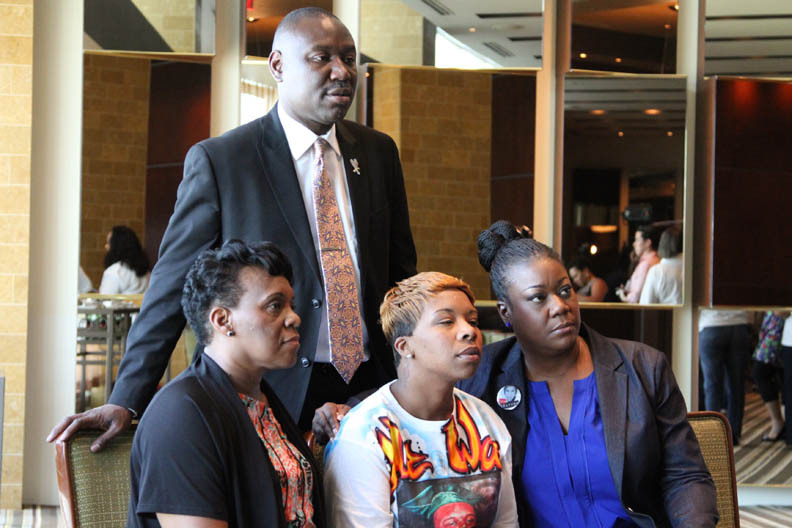 Valerie Bell (Sean Bell’s mother), Lesley McSpadden (Michael Brown’s mother), Sybrina Fulton (Trayvon Martin’s mother). ALISYN CAMEROTA, CNN ANCHOR: CNN’s Don Lemon sat down with Michael Brown’s mother, Lesley McSpadden, along with Sybrina Fulton who lost her son, Trayvon Martin, in 2012 when he was shot and killed by George Zimmerman, and Valerie Bell who’s son, Sean, died in a barrage of bullets by New York City police in 2006. 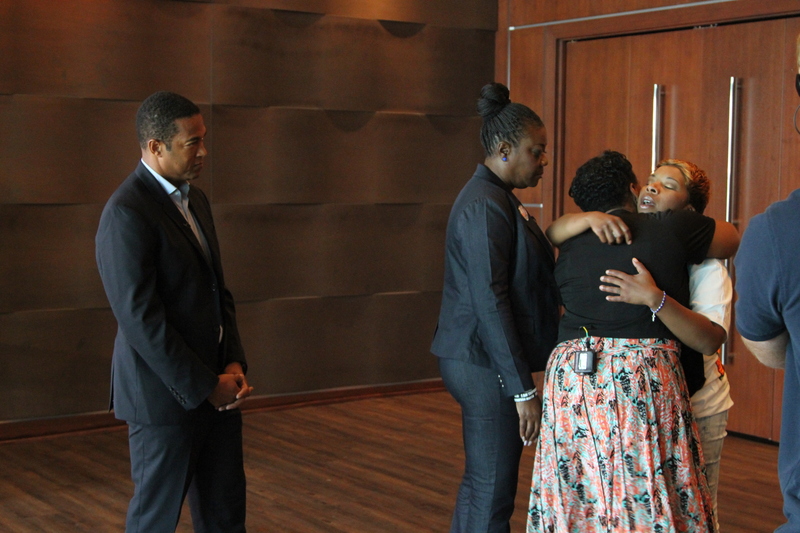 The three mothers came together to help each other cope with the loss and with their futures. Don Lemon joins us now from St. Louis. Don, what an intense interview you conducted. DON LEMON, CNN ANCHOR: Oh, it was intense. It was the first time, Aliysn, that the three women had met. Sean Bell’s mother and Trayvon Martin’s mother had met, but it was the first time that they met Michael Brown’s mother, Lesley McSpadden. It was an emotional interview, as you said. It was intense. But there was also something in it that was very helpful that will prove to be, hopefully, very helpful to Michael Brown’s mother. SYBRINA FULTON, MOTHER OF TRAYVON MARTIN: We got it. VALERIE BELL, MOTHER OF SEAN BELL: We got it. 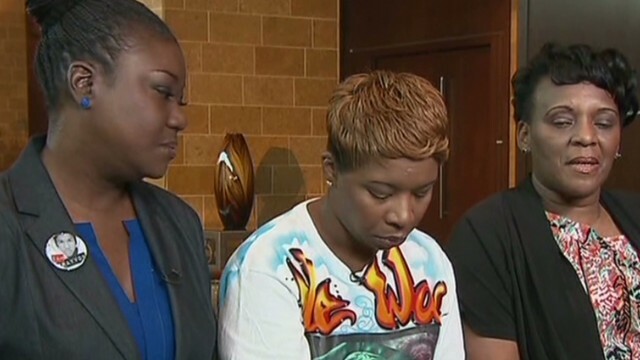 LESLEY MCSPADDEN, MOTHER OF MICHAEL BROWN: We got it. FULTON: Hey, momma. Hey, momma. God bless you. God bless you. LEMON (voice-over): An emotional embrace. FULTON: Just lean on him. He going to cover you. He going to cover your family. And he going to make sure you’re okay. LEMON: The mothers of Trayvon Martin, Sean Bell, and Michael Brown meeting for the first time. BELL: You have to keep your head up, no matter what is done. Keep your head up. You can see your son in you. LEMON: We stepped out of the room. We’ll see you in a few minutes. Giving them time alone before starting our interview. LEMON (on camera): What can these moms, these women, they can offer something that the guys can’t, right? That husbands can’t. LEMON: What can they offer you? MCSPADDEN: They’re speaking to me from experience. You know? They are offering me something right now that I can’t tell you what it is. But it’s something. And something is more than nothing. BELL: Yes, (inaudible) strong part of the flashback is my son eight years ago, that was my flashback. Thinking of her at that time, her son was 10-years-old when it happened. And I thought to say to her, keep the memories in your heart, that’s going to help you to continue to carry on with your son, and believing and having faith in God will also help you and the close family members. That’s what keeps me, the memories of my son. He always did tell me, “Ma, I got this.” So I’m telling you, ma, you got this. It’s okay to cry, scream, I still do. It’s eight years, but you got this. FULTON: You have to focus on when he was smiling. You have to focus on his first day of school, and you have to focus on Christmas day and things like that. The happier times. Put a picture up when he was happy. FULTON: And you have to focus on those. Just don’t focus on the death, because that’s going to eat away at you. LEMON: And Lesley, you know, its hard and you’re probably thinking right now that, I’m sure it doesn’t seem real to you. These ladies are examples that you can survive this. I don’t know — I can’t — maybe I’m not putting it in the right words, but can you ever be whole again? Can you ever — how would you put it? FULTON: I don’t think it’s a matter of being a whole. What I think it is is a matter of a new life. This is the new life. I can never go back to who I was and what I was because I’m missing something very precious in my life and something very special. BELL: Losing my son was like losing a part of your body. But you remember, you remember what that part of your body has done for you. Like if you lose an arm, you knew what that arm did. So my thing is keeping the memories that will keep you and carry you on. LEMON: I want you guys to talk about it because it’s going to be very difficult and you have dealt with it, is character assassination. I think you describe it as character assassination, one of you. What do you mean by that? FULTON: That means that people that don’t even know her son is going to say negative things about him just to portray him in a different light, in a negative light, just to try to justify what happened. LEMON: Is that one of the hardest parts of, are you even thinking about that, about people talking about your son? FULTON: No, the hardest part for her is going to be the home going service. As I have said, that is the absolutely worst day of her life as a mother. There is no words that can bring comfort to her, as a mother, by seeing her son in the casket. LEMON: Do you go around the house, in the kitchen, do you talk to Trayvon? BELL: Yes. If I know something has to be done, ma, I got this. Say the saying, ma, I got this. LEMON: Do you do the same thing, Lesley? MCSPADDEN: Especially when it rains. Yep. LEMON: When it rains, why? MCSPADDEN: Something about the rain. Something about it. MCSPADDEN: I feel him. He’s there. FULTON: He’s there, he’s there. He’s watching over you. LEMON: What was it like meeting her? BELL: I’m glad I did meet you. It brought back memories of my son, and I just thought of your son. FULTON: It’s hurtful, but at the same time, it’s — it’s comforting because I know she needs people that understand what she’s going through. LEMON: And Lesley, what was it like meeting these ladies? They’ve been saying everything, how they feel about you. What’s it like meeting them? What do you want to say to them? MCSPADDEN: I’m sorry what you had to go through. I’m sorry about yours, too. FULTON: We got you. We got you, baby. We got you.